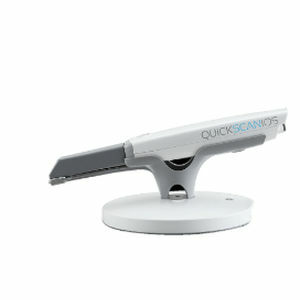 The QuickScan IOS intraoral scanner is powderless and offers full color digital 3D scans. It is equipped with the latest technology of the new generation of intraoral scanners. Tested by independent labs, it’s accuracy and performance is comparable to other leading scanners but at a fraction of the cost! QuickScan IOS scans can be viewed in leading software such as 3shape, EXOCAD and Bluesky Bio.